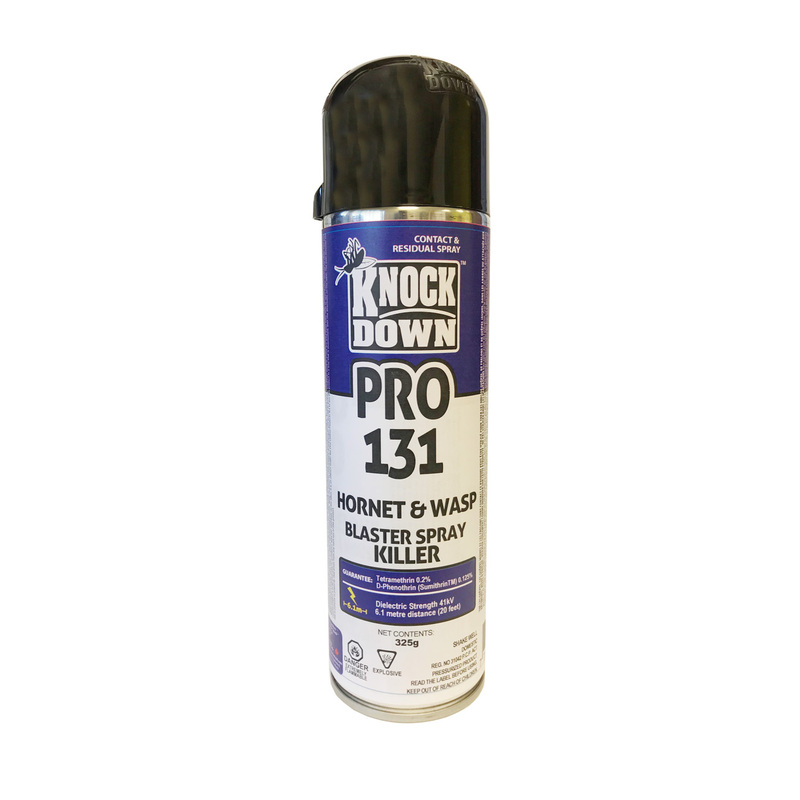 KD131P – KNOCK DOWN – HORNET AND WASP BLASTER – SPRAY – PROFFESIONAL – KUUS Inc. Reaches nests more than 20 feet above ground. Do not use inside homes, on humans or animals. For the control of wasps, bees, hornets and yellow jackets, remove protective cap and point nozzle in direction of the wasp nest or at the insect. Press the nozzle and completely saturate the nest from a distance of 3 meters. Allow sufficient time for insects to die. Application to wasp nests should be made in late evening or early morning when insects are at rest.